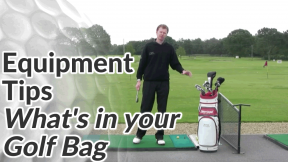 What’s Best In Your Bag? In this section of the site, you’ll find reviews, guides and tips to help you determine the best golf equipment for your game. Side note You’re going to spend money on new clubs and equipment at some point anyway, so it makes sense to understand what will have the greatest, positive impact on your game.You won’t find reviews of specific clubs (brand and model) in the guides and tips below. There’s very little value in me reviewing and summarising a “Titelist D3 driver” for example, because ultimately it’s down to your personal preference. 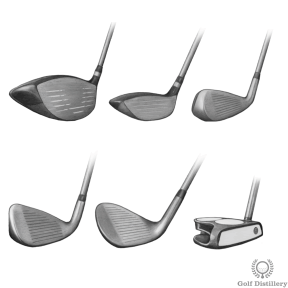 What is of value is understanding a bit more about driver loft, shaft flex and shaft weight for example, and how they affect the flight of the ball. Then you can make your own informed decision about what brand and specs are best for you. What About Golf Training Aids? 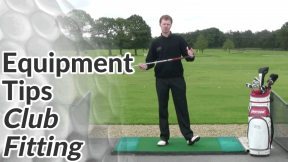 I do use a select group of training aids in my day-to-day instruction and I think there are a number of items on the market that can help golfers fix a specific fault or generally speed up the learning/improvement curve. 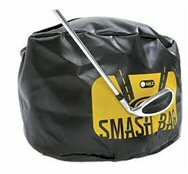 From time-to-time, when I find a golf aid that is worthy of your consideration, I’ll review it and post it in this section of the site. I keep my reviews as objective and balanced as possible (we’ll leave the hype to the companies that sell them) and I’ll always try and offer a low-cost, home made alternative.